A fantastic opportunity to acquire an immaculately presented four bedroom detached family home within a highly sought-after cul-de-sac. Located within easy reach to Berkswell Train Station, village centre and the local park plus having superb school catchment. Briefly comprising kitchen/breakfast, separate living and dining rooms, conservatory with large Master bedroom with en-suite and single integral garage. Stunning family home in a superb location. PROPERTY IN BRIEF Ginger are delighted to market this immaculately presented family home in a highly-desirable cul-de sac within the popular Riddings Hill Estate. Located within walking distance of Berkswell Train Station, Balsall Medical Centre, Lavender Hall Park and a short walk to the village centre. The school catchment is excellent if your considering schooling. 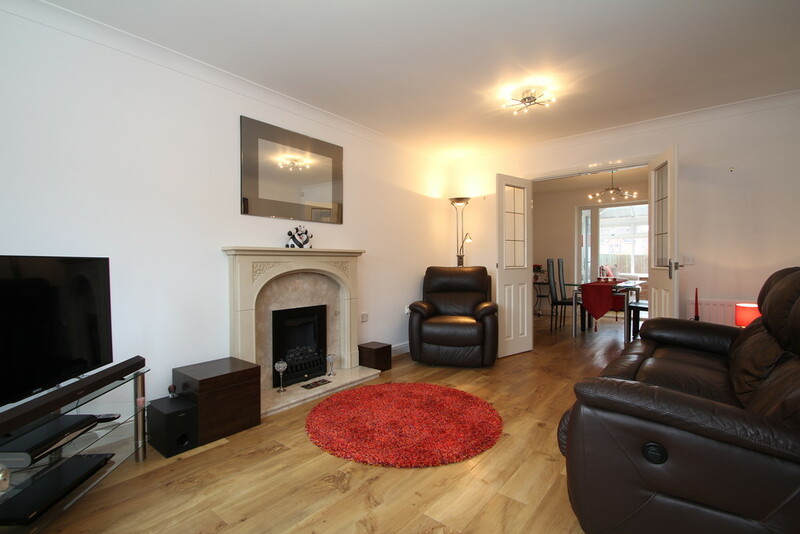 The property is beautifully presented throughout, neutral in style and Karndean flooring which oozes a quality finish. 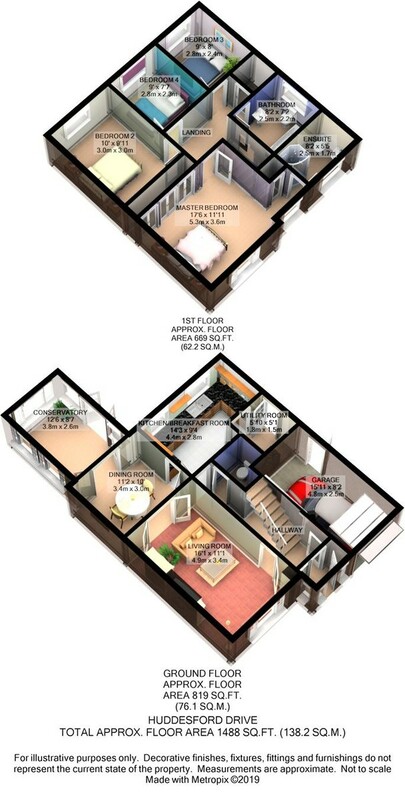 Offering an abundance of accommodation starting with the ground floor. A welcoming porch greets you home, perfect for kicking off your boots. Then step inside the welcoming hallway with Karndean flooring which continues throughout the property- perfect for a demanding family. The living room offers plenty of space for the family to chat through their day in-front of the feature gas fire .The French style doors lead you through into the dining room. Having the two reception rooms linking offers adaptable space when inviting friends and family over for a large gathering. Having the advantage of conservatory to enjoy the garden view and that all-important Kitchen/breakfast with separate utility room off. Let's head upstairs. 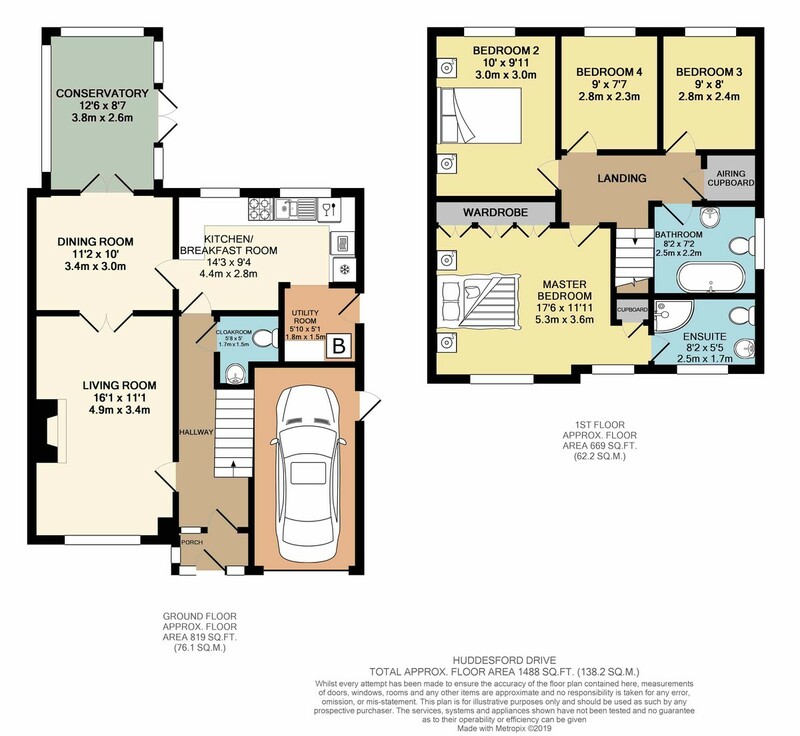 You will love the Master bedroom, such features as two windows on the front elevation delivering an abundance of natural light, built-in wardrobes plus that must-have en-suite shower room. 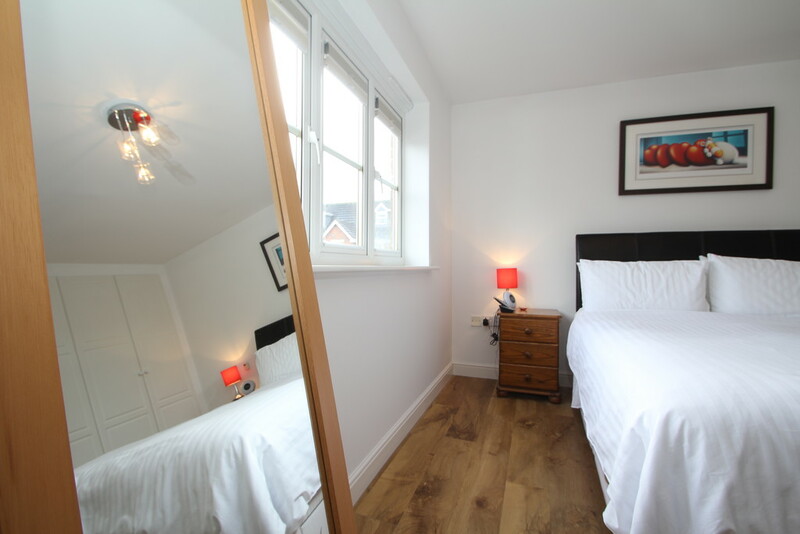 The second bedroom offers good space with a view of the garden with bedrooms three and four also offering decent space for smaller double rooms/ large singles. 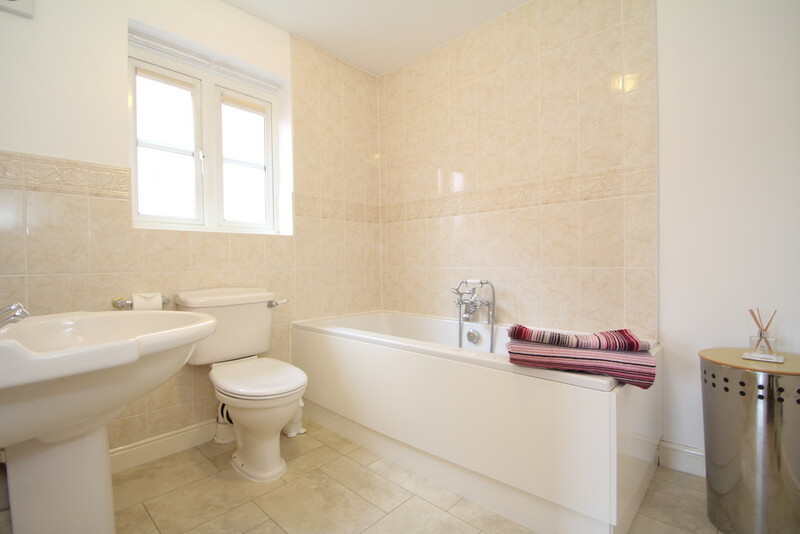 The family bathroom has been treated to larger-than-usual bath and loads of space to splash around. The outside offers plenty of parking space on the driveway with access to the single integral garage. The rear garden offers patio areas and secluded garden. This is a superb family-focused home, beautifully presented, ready to move in and very desirable location especially if the train is important to you and schooling options. ENTRANCE HALL 15' 6" x 5' 11" (4.74m x 1.81m) Step inside from the porch via the half-frosted double glazed front door into this welcoming hallway. Neutrally styled with Karndean flooring. 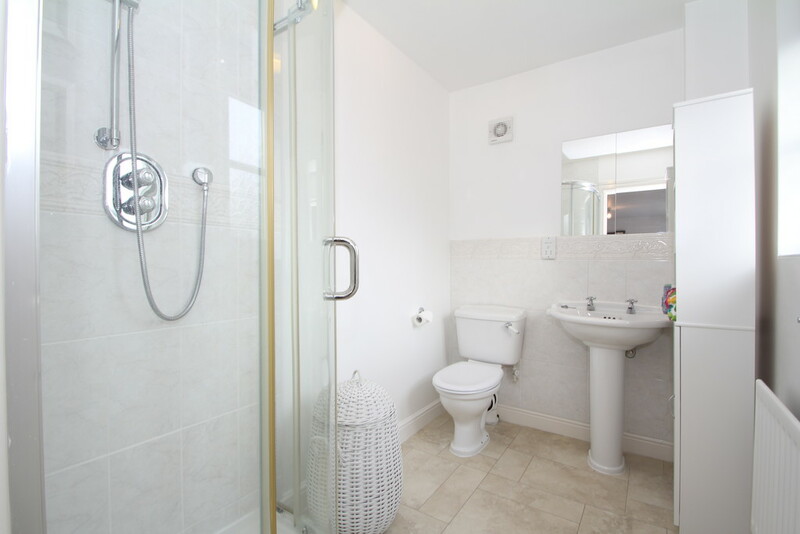 This property has the advantage of downstairs cloakroom which runs off the hallway. The oak-effect varnished balustrade staircase leads up from the hallway with carpet to keep your toes snug in the morning. Benefiting from central heating radiator. LIVING ROOM 11' 1" x 16' 1" (3.39m x 4.91m) A big, bright and spacious living room having the benefit of focal coal-effect gas fire and surround. The large window offers a view over the front garden as well as delivering plenty of natural light into this space. Simple and modern decor with Karndean flooring, two radiators and two ceiling lights. The French-Style doors open out to the dining room making this room perfectly adaptable to cope with large gatherings or opening the living spaces out to lead into the garden. DINING ROOM 11' 1" x 9' 11" (3.4m x 3.04m) The modern style continues through from the living room to blend the rooms together for when you open the French-style doors. 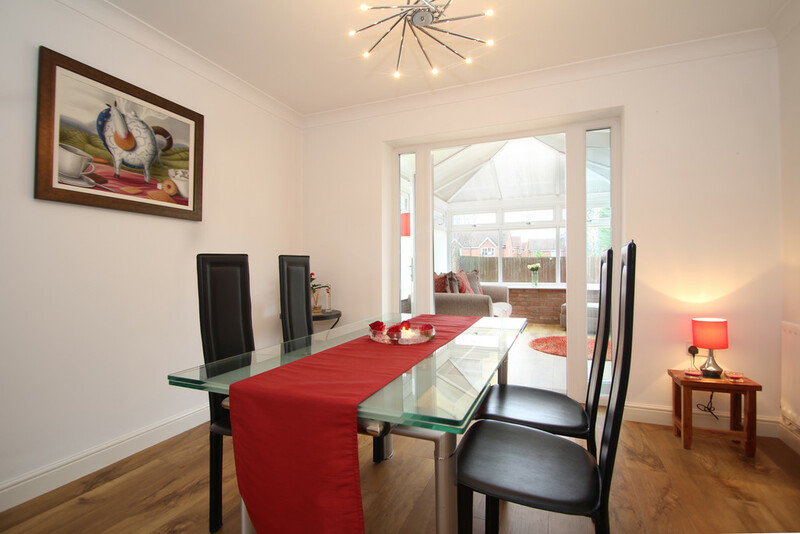 A spacious dining area with views through the conservatory into the rear garden. The high-quality, hardwearing Karndean flooring continues through into this room too. 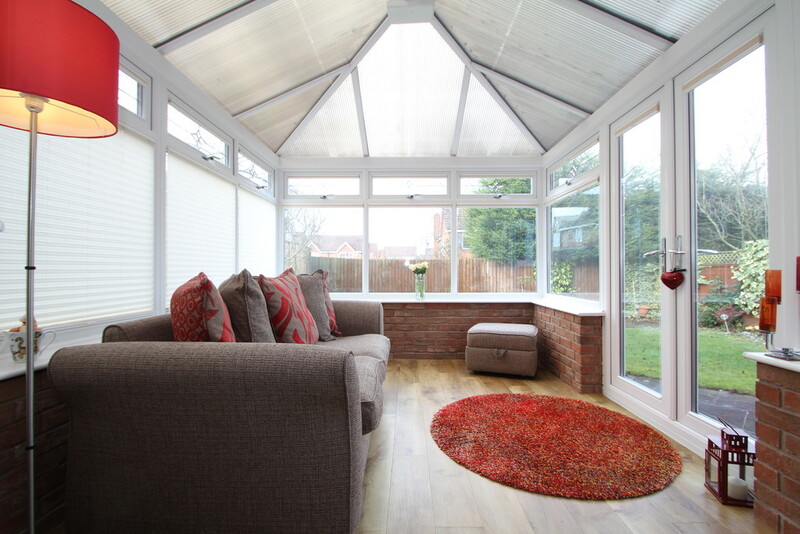 When the doors open through to the outside via the conservatory the fresh air floods in-perfect for summertime living. Central heating radiator. KITCHEN/BREAKFAST ROOM 14' 3" x 9' 3" (4.35m x 2.84m) A traditional style kitchen offering a good range of wall and base units with light, contrasting work-surfaces. A lovely feature here are the dual windows looking out to the rear garden. There's a number of integral appliances to include: 'Indesit' dishwasher, Ariston double oven, grill and four gas burning hob plus built-in fridge and freezer. This kitchen offers the perfect space for your breakfast table with contrasting style Karndean flooring. UTILITY ROOM 5' 0" x 5' 10" (1.54m x 1.78m) Separate utilities are a useful feature of a family sized property. This one offers provisions for your washing machine and dryer. Base unit and sink. This room is home to the 'Potterton Suprima' boiler of which we are advised by the vendor that the boiler is under an annual service plan. The side door being half double glazed offers a route out to the garden to hang your washing out. There is a central heating radiator. 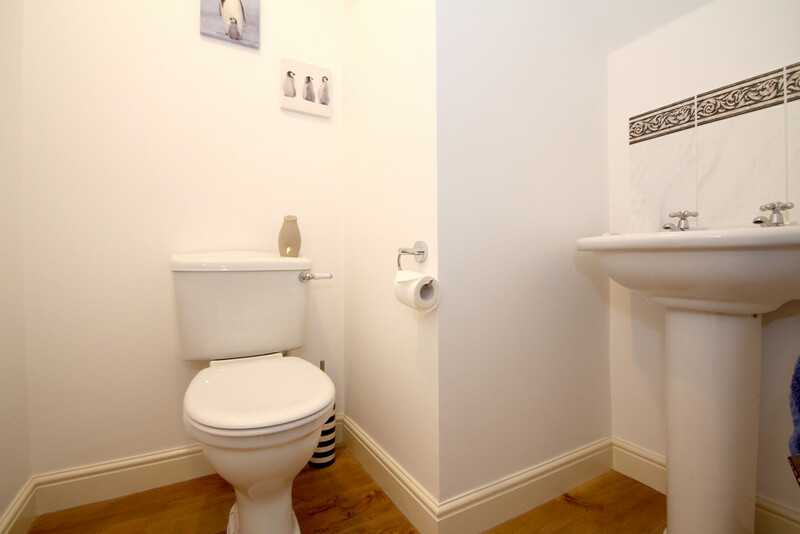 CLOAKROOM 4' 8" x 5' 9" (1.43m x 1.77m) Located off the hallway, this spacious cloakroom offers a fresh, white suite to include wash basin with splash-back tiles and W.C. extractor and radiator. CONSERVATORY 11' 1" x 9' 11" (3.4m x 3.04m) Accessed from the dining room through double patio doors. This space is a tranquil sitting area. Whilst measuring up this room we noticed the peace and quiet around us and listened to the birds happily singing away. This is a fabulous addition to the property. Double glazed patio doors lead you out to the patio and garden, Karndean flooring. LANDING 11' 6" x 5' 0" (3.52m x 1.53m)narrows to 0.87m Affording access to all four bedrooms and family bathroom. 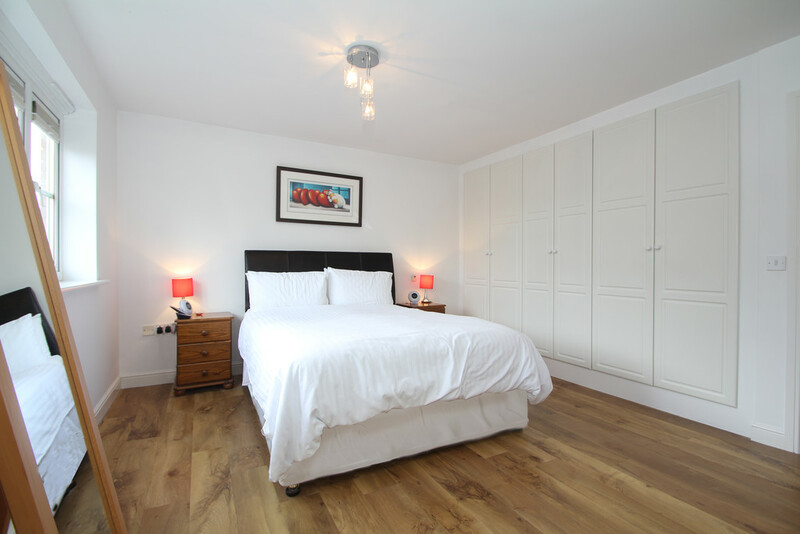 There is an airing cupboard offering lots of space to store your sheets and towels plus the hot water cylinder. The loft, we are advised is part-boarded and has a light. Central heating radiator. MASTER BEDROOM 17' 6" x 11' 10" (5.34m x 3.62m) The main bedroom offers amazing space, we particularly love the dual double glazed windows over-looking the front elevation delivering lots of natural light to start your day right. A fresh, neutral room having the benefit of built-in wardrobes (3 x doubles) and Karndean flooring. There is an additional storage cupboard, TV Aerial point and central light. EN SUITE 8' 1" x 5' 4" (2.48m x 1.65m) A fresh, neutral master en-suite shower room having W.C, wash-basin and corner shower with chrome mixer control and sliding curved doors. A spacious en-suite with extractor and central heating radiator. BEDROOM TWO 9' 10" x 12' 3" (3.01m x 3.75m) Another spacious bedroom with ample floor space for your bed and wardrobe space. Neutral decor having double glazed view over-looking the rear garden. Central heating radiator and ceiling light. BEDROOM THREE 7' 11" x 9' 0" (2.43m x 2.75m) A spacious bedroom offering a view out over the rear garden. A continuation of the Karndean flooring which sets this room off a treat. 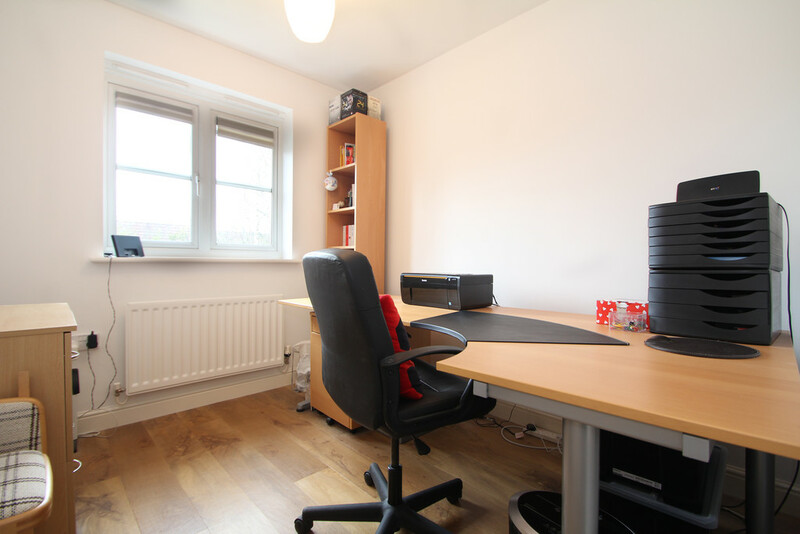 Plenty of floor space and currently working well as an office. BEDROOM FOUR 7' 7" x 9' 0" (2.32m x 2.75m) Similar to bedroom three, having Karndean flooring, garden views through double glazed window, neutral colour with radiator and central ceiling light. BATHROOM 8' 2" x 7' 1" (2.49m x 2.18m) A fantastic, spacious family bathroom featuring a larger-than-usual bath with Victorian style mixer tap and shower head. A white suite offers large wash-basin and W.C. Having leaf patterned opaque window, shaver point, extractor and central heating radiator. White in it's decor with half neutral tiled walls and Karndean flooring. OUTSIDE SPACE The front of the property offers tarmac driveway with access to integral garage. Having lawn area with foot path leading to porch entrance. A cute, low level hedge adds further character to this beautiful looking home. There is a side gate leading down the passageway to the rear garden. The secluded garden offers patio area leading from the conservatory, a pebble area and lawn. In addition, there is an outside tap with space down the other side of the house. A peaceful, secluded and safe family garden. GARAGE 15' 10" x 8' 2" (4.84m x 2.5m) Having up and over car access door with side personal door leading to side path. Lighting and power are supplied. TECHNICAL We are advised this property is freehold, please seek confirmation from your legal representative. 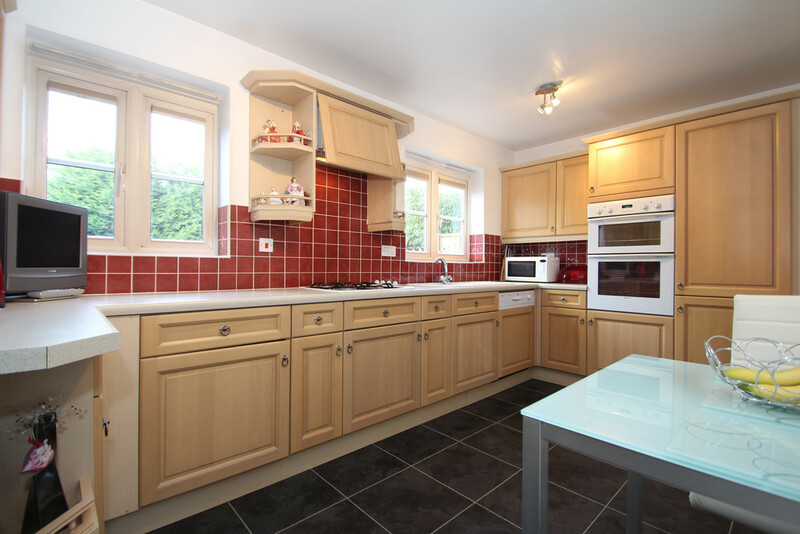 The property offers gas central heating via the Potterton-Suprima boiler, double glazing and intruder alarm. 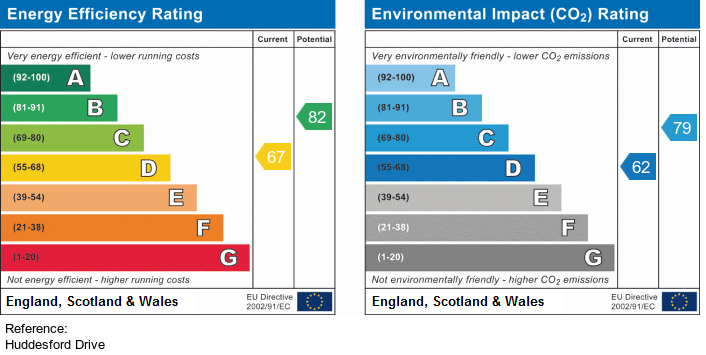 We are advised the council tax is band F and payable to Solihull MBC.